LEXINGTON, Ky. — A Homegrown by Heroes product will add a touch of sweetness to the second annual collaboration of two Kentucky Proud brewers for Lexington Craft Beer Week. West Sixth Brewing Company and Country Boy Brewing, both of Lexington, have concocted a special beer infused with sorghum from Townsend Sorghum Mill of Montgomery County. 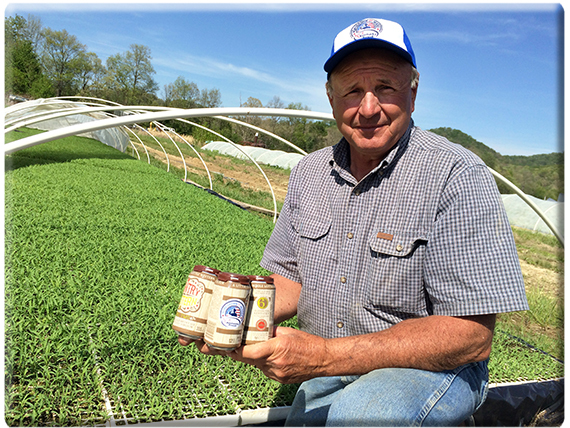 Townsend Sorghum Mill is owned and operated by Danny Townsend, a Vietnam veteran and founding member of Homegrown by Heroes and Appalachia Proud. The beer, dubbed “Country Western Volume 2,” is a brown ale aged two months in Kentucky bourbon barrels. "From the beginning, West Sixth has been about not just creating great beer, but also being a contributing member of our community,” West Sixth co-founder Ben Self said. “We view supporting our local farmers as a key component of that -- including using local ingredients, like Townsend sorghum, whenever possible." Country Western Volume 2 beer will be available on draft at both breweries May 9 and in cans at both breweries May 15. Lexington Craft Beer Week May 10-18 celebrates the city’s numerous craft beer brewers. For a full schedule of events and more information, go to http://www.lexbeerscene.com/LCBW.php. West Sixth Brewing Company beers are available in retail outlets and bars throughout the Lexington, Louisville, and northern Kentucky areas. To find out more about West Sixth Brewing, go to http://www.westsixth.com/. In operation since February 2012, Country Boy Brewing produces a wide array of staples as well as specialty beers that include local fruits, vegetables, and hops. For more information, go to http://countryboybrewing.com.